3 Braces Better Than 6? We accept Visa, Mastercard, American Express, Discover, and Paypal. If you don't want to use PayPal when checking out, just drop down the page and click on "Don't have a Paypal Account". 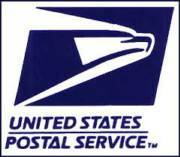 Of course, we can accept checks, money orders and real money if you wish to order by mail or in person. 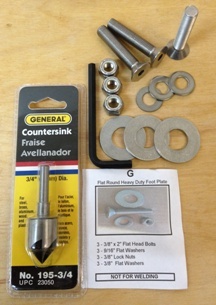 We ship the complete kits Fedex Ground in the U.S. Other items are as noted or best way. Your item will normally be shipped 1-3 business days after purchase. Shipping time is 2-3 business days west coast, 3-5 business days mid continent, and 4-7 days east coast. Shipping cost for the contiguous 48 states is indicated below. We ship to Canada, See Items D, E, and H for additional shipping charge. Other locations or items, please contact us. Toll Free 866 498-8754 between 8 AM and 4 PM PST, Monday thru Friday. 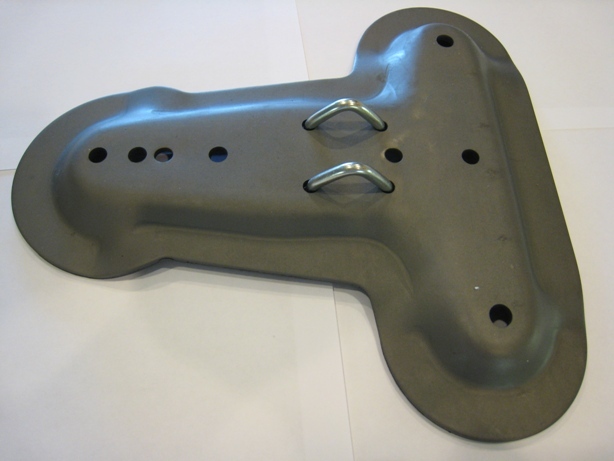 IF YOU HAVE A FIFTH WHEEL WITH ROUND O FRONT FOOTPLATES ON JUST THE FRONT JACKS, PLEASE CONTACT US BEFORE ORDERING. There are a couple of different options for mounting our unit to the footplates. -- THANK YOU! If the Shopping Cart is not directly below. We are in the process of converting site to be Mobile friendly. Copyright Hanscom Enterprises, LLC All rights Reserve. Great replacement for bent or damaged Foot Plates or if you just want matching shoes on your trailer. Steadyfast Foot Plate has three pads making it self leveling. It is larger and stronger than standard foot plates. It has been tested to over 2000 pounds. Comes with fasteners to attach to Fifh Wheel drop leg, scissor, or standard stabilizing jacks. List Price $25 plus shiping. Shipping is a flat rate $13 priority mail to lower 48 states. 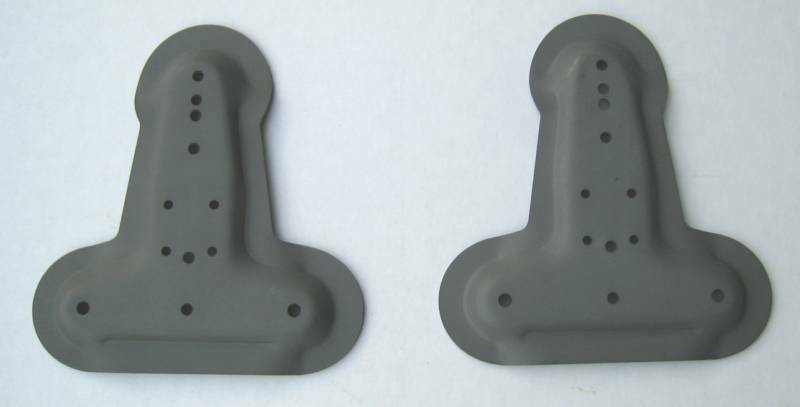 Great replacements for bent or damaged Foot Plates Or if you just want matching shoes on your trailer. Steadyfast Foot Plates have three pads making them self leveling. It is larger and stronger than standard foot plates. It has been tested to over 2000 pounds. Comes with fasteners to attach to Fifh Wheel drop leg, scissor, or standard stabilizing jacks. List Price is $50 plus shipping. Shipping is a Flat Rate $13 priority mail to lower 48 States. This is the additional Charge for shipping to Canada for items F, or G . PLEASE NOTE: Purchaser will be responsible for brokerage and import fees charged for importing into Canada. This package contains 3 stainless steel flat head bolt assemblies for attaching the steadyfast system to round heavy duty footplates. It includes a tool to countersink the flat head bolt into the bottom of the footplate as well as the correct size allen wrench to install the bolts. The alternative to this kit is to weld the stock bolts to the top of the footplate. $9 shipping priority mail. We thank all our customers for the increased sales !! However, the downside is that we got a little behind manufacturing the custom footplates. Expected shipping Apr 29. Orders will be shipped in order received.